Our Guest Blogger today is Joan Hawley of Lazy Girl Designs. A friend of Regina's, Joan's favorite food is chocolate, and she knows her way around the kitchen just as well as her way around the sewing room. As Joan would say - let's raise a cuppa and enjoy... Thanks for joining us, Joan. Italian Veggie Sauté is one of my all-time favorite and go-to veggie dishes due to its ease in making and versatility in using. 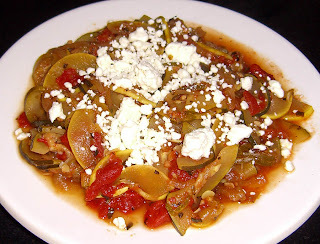 The end result is a nice flavorful medley, perfect as a side dish, great topped with feta or parmesan, and wonderful on top a bed of rice. I’ve baked it atop chicken breasts, too. 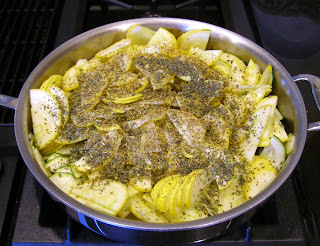 Whether you make a little or a lot, the basic principle behind it is to aim for equal parts onion, zucchini, yellow squash and tomatoes. Use what you have on hand or is in season. Use fresh tomatoes when possible, otherwise try diced ‘fire roasted’ tomatoes from Hunts or Muir Glen (organic). 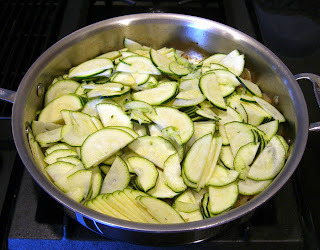 After sautéing the onions, this recipe comes together quickly, so I like to chop the zucchini and squash and set it aside. 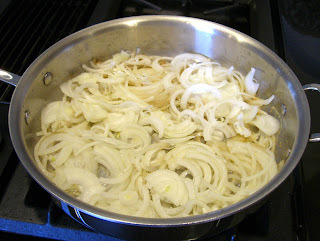 Then I heat the oil/butter as I chop the onions. I like to use my food processor to chop the veggies so they are consistent in thickness and will cook evenly. And it’s fast, and I’m Lazy, so it’s a good match. A few notes about the rest of the ingredients. 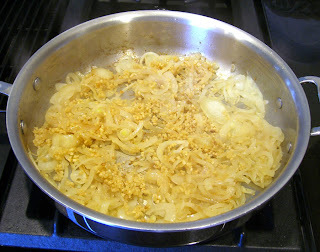 Whenever I start a sauté, I like to use a little butter with the oil to help caramelize the onions just a tad. Use a little or a lot of oregano and basil – you know what you like. The same could be said for the garlic as well. I use a 3 quart sauté pan. Don’t use an aluminum pan if possible. This dish is going to simmer on the stove for a while and the acid from the tomatoes will react with aluminum. Heat oil and butter in sauté pan over medium high heat. Add garlic and sauté another minute or two. 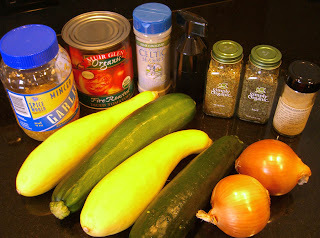 Add zucchini, squash, and spices. Cover and cook a few minutes to release juices from the veggies. 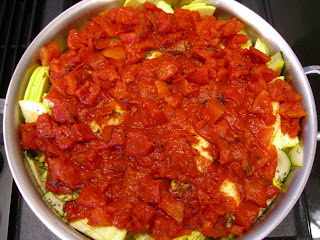 This will also allow the tomatoes to carry the spices down to the bottom of the pan for you and get the party started. 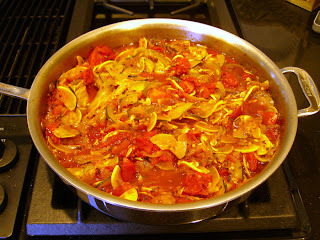 Stir, reduce to low heat, cover and simmer for 15-25 minutes as needed to soften the veggies. Stir occasionally. Serve any way you like. My favorite is a topped with feta cheese. Enjoy! That sounds wonderful Joan! I am going to try this soon. I guess this makes you an official part of the family!!! !